Got to know from a fella mummy blogger that there is a Times Book Fair at expo today, a check at the expo website and saw that there is a Courts & Robinson fair too. We decided to head down though we know that there will be a huge crowd and long queue at the cashiers as these are the favourite fairs that people will like to go. We hope to grab some good electronic deals at Courts fair, perhaps look at Robinson to see if they have any beds on sale, of course some books for us. 2hours later we came out from Times Book fair and Courts fair with many books but nothing from Courts as the deal was not really fantastic. We headed off to Robinson fair abt 30mins later. A quick glance around the hall and realized that there were no beds or bed frames for us to see. We decided to take a look at pillows n bolsters since its time to change ours. Before that we head off to the toys department coz Little DinoEgg was such a good boy that we decided to let him choose a toy or two. He got 2 set of Bakugan toys(3 balls in each set) that is only $10 each. Its old stock but good deal for us since he does not know the difference. 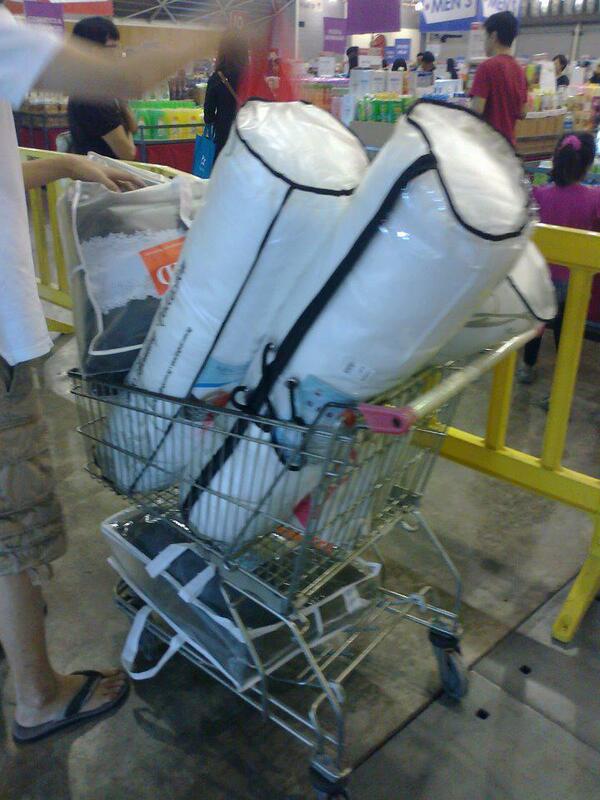 20mins later, we got ourselves 3 pillows n 3 bolsters (1 set each for 3 of us) ready to pay n go home. While going towards the cashier queue we saw Picket & Rail, saw a dinning table n went up to take a look (we all know how expensive Picket & Rail stuffs are). A rubber solid wood dinning table + 6 dinning chairs for S$799! Good deal! Me n daddy was thinking n contemplating but have to "time out" as Little DinoEgg says he needs to "bomb" =.= so off the go with daddy to the "enemy's turf". While waiting, I sat down on the sofa set to chat with the promoter. The sofa is really comfy (perhaps its coz I was tired from all the walking? ), man made leather, nice brown color, frame is rubber solid wood. So soft n comfy~~ Took a peek at the price... 3 seater @ S$699, single seater @ $299... not too expensive. When the boys are back from the "enemy's turf" I asked daddy to sit n feel the sofa. He loves them too! Then have to think whether to get only the 3 seater or that with two 2 seater. And the verdict is to get one 3 seater n two 2 seater @ S$1297. So we paid S$2096 for the dinning table set and the sofas. Good deal n at half the budget daddy put aside for these 2 items. Another good deal we've got are the books! 10 books for $52 only! I was very surprise that the informative books are so cheap! Never mind if they are old versions, the information are the same and are more important. 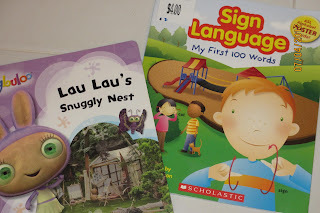 I chance upon the sign language book which I immediately grabbed it coz I've always wanted to learn sign language and was actually looking for any Parent & child sign language class since Little DinoEgg was 2yrs old. Alas, can't find any, and those sign language books for adults are so difficult to understand. This one is for kids, colorful n simple, me & Little DinoEgg should be able to follow it. We definitely had a fruitful trip to the expo. Even the weather was nice too, no hot sun n no rain, dark cloudy sky with warm sun light.